In this article, Data Clinic Ltd, the UK phone data recovery specialists, describe and discuss the most common problems found on Android phones and tablets. Troubleshooting tips, suggestions and solutions to these common problems are also provided. If your Android device is not charging correctly, and is charging slowly or not at all, the cause maybe either something as straightforward as a simple connection issue or something more serious like a hardware failure. Calibrate your battery – The Android OS has a built in capability known as ‘Battery Stats’ which is tasked with keeping track of the battery’s capacity. This can sometimes become corrupted and cause the phone to switch off if it believes the battery is at 0%. Details of how to do this can be found on the internet. If none of the above measures resolve the issue, your Android phone or tablet may have a hardware problem. If this is the case, we recommend you contact us and avoid web-based DIY procedures which will often cause serious internal problems and result in permanent damage to your phone/tablet and, in addition, permanent loss of the data you want to recover. Our staff will be able to perform diagnostic operations to determine the root cause of the problem and ensure your data is recovered. This is a very common problem and from experience it could be caused by almost anything. Something either hardware- or software-related is preventing the Android device from completing its normal boot procedure. Software manipulation – The Android operating system is a fantastic OS for customization. Users are able to root, flash and manipulate the software in order to achieve a variety of customisations. Unfortunately, performing these manipulations can, if not completed correctly, cause serious issues to the OS and prevent the device from booting. The good news is that the Android OS is quite resilient and can be fixed using the correct procedures, or failing that your data recovered and the phone returned to default. 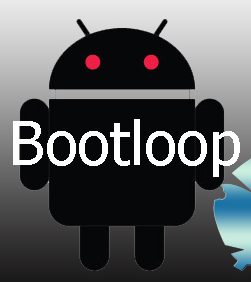 Your Android may be failing to boot after an update. If you have recently updated your mobile phone or tablet and it is now failing to boot, or is stuck at the logo, this may be the cause. The most common cause of this is an interruption to the update process mid-way though the update. This interruption is frequently because: the computer freezes, the phone was unplugged mid-way through the process, the phone froze during the update, the mobile phone’s battery ran out before the update completed or the update simply failed. Defective memory card. Another simple but common fault with Android devices could simply be the memory card. If the card is damaged or is reading incorrectly the android device may halt on boot up. To remove the possibility of this power down the phone/tablet, remove the card and repower. If it halts during the boot you need a new card. Software glitch, incompatibility or virus. If you have recently installed a new app or piece of software on your Android device this maybe the cause of your problems, especially if you downloaded the software from an untrusted source. 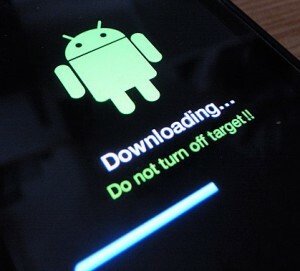 Many free-to-download Android applications purposely contain code to compromise your device and frequently (because they are poorly designed and coded), corrupt your OS and prevent booting. If your Android phone or tablet is non-responsive and is showing no signs of life, we recommend that you first have a look at our tips regarding power and battery issues further up the page. If the battery appears to be fine, then this symptom may unfortunately point towards a physical hardware failure. Android devices such as the Galaxy range of mobile phones, Nexus phones and HTCs all have complex internal hardware such as memory storage chips, power distribution, a complex logic board and various connectors, all of which can be the cause of a dead device. If you require the data from your dead device we recommend you contact us; we can use advanced phone and tablet data recovery techniques such as JTAG and chip-off to read the information directly from the memory chips of the phone. These processes do not rely on the phone working or even being in one piece; all we need are the phone’s memory chips. This is another very common failure, not just with Android devices but with all types of devices that rely on an OS for operation. When your Android device is updating the OS it is changing and rewriting the vital code designed to operate your device. If this process fails for any reason then the OS could be left corrupted and unable to boot and provide access to your vital data. Here at Data Clinic we are able to produce a full data dump of the mobile phone or tablet memory and extract your data from it. Once your valuable data has been saved we/you can look at performing a factory reset of re-flashing the device to regain normal operation. In today’s world we can get carried away with installing apps, taking selfies and recording precious moments. Unfortunately, if we get too carried away we can quickly fill the modest amount of storage available to use such as 8GB, 16GB, 32GB or, if you’re lucky, 64GB. Much like any operating system including Windows and the like if the device has insufficient storage available to store or manipulate vital system files it may cause crashes or even stop the device from booting. If this should happen to you, access to your data is lost. Activating the device’s download mode lets us directly recover the data from the storage area of the Android device, allowing you to factory reset the phone to resolve the problem. The number one problem we see on phones and tablets is physical failure. We are contacted daily regarding data recovery from Android devices which have been physically damaged. Usual cases include dropping, damage in anger, screen damage and damage to the data/charging port whilst charging. Damage to these vital areas of the phone or tablet can render it useless until fixed due to the Android’s robust security measures and reliance on the screen being operational. Not a very common failure seen in our lab, but one we encounter from time to time. It is quite normal for a mobile phone utilising the Android OS to become hot when under heavy processing load. Much like a home computer, the more you ask of it, the more heat is produced. However, if this is a regular occurrence or if your phone shuts off during operation you may have a more serious hardware issue causing excess heat to be produced. This fault can be caused by failure to different parts of the phone, however our technicians would first look at the battery. The battery is more than likely to be the root cause of your phone getting overly hot and restarting. We have the equipment to discover if this is the problem. If your phone has an easily accessible battery it may be worth purchasing a compatible spare to rule out something which maybe a very easy to fix. If, however, after a battery change you are still experiencing the issue, further diagnostics will be required. We have all at some point experienced that horror moment we we think we have just deleted the wrong file or folder. As with all data storage devices this is an all too common occurrence and even more so with mobile phones and tablets due to the nature of how data is stored. If you believe you have deleted important data from you phone or if it has simply disappeared the first thing to do is switch off the phone. We cannot reiterate this enough. If you continue to access and use your phone you will sooner or later be overwriting the data you are looking for. Installing apps and even taking calls is decreasing your recovery success percentage by the second. Every phone is unique and so each method available to us to recover data has to be applied to the specific problem in hand. If you have security setup on your phone bypassing this is critical in order to gain access to your data. If you have forgotten your access details for your Android device or it has been changed without your knowledge our technicians may be able to help. Currently, bypassing abilities vary from phone to phone. In order to provide you with accurate information on what can be achieved we’ll need to ask some details and we will need you to prove you are the rightful owner of the Android device. 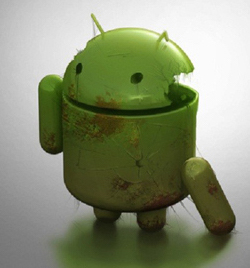 Obviously not what you want to do if you require the data stored on the phone, but if you have factory reset your Android mobile phone or tablet then our data recovery technicians may still be able to help. As with all factory resets the device is reverted back to the original stock settings and operating system. Completing this task will inevitably overwrite some or all of the data you are looking for. However, our technicians will be able to obtain a bit-by-bit image of the device’s storage and then locate and recover all of the available data both existing and deleted. You will then be provided with screen shot, filelist and a detailed summary to identify if we have been able to locate your missing data. We see many Android phones which have been subjected to various liquids including the dreaded toilet drop or have been left in a pocket during a washing machine cycle. The internet is a flooded with tips and tricks to try and get your phone working again but we all know that liquid and electronics DO NOT mix. We recommend that you do not try to power on your device even if you think it is now fully dried out. The reason for this is because liquid leaves residue or corrosion which can cause a power surge resulting in even more damage to the electronic device. 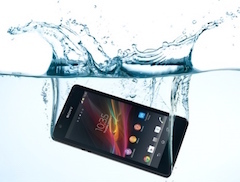 To recover data from water damaged equipment, we first set about decontaminating the phone or tablet’s internals using specialist cleaning to removed corrosion and residue from the internal electronics. Data Clinic’s mobile phone spare library also allows us to remove and replace the most commonly damaged components such as the battery, charging port and delicate connectors to reduce any risks. The phone is fully inspected under a microscope, and any issues are dealt with. Only then do we power up the device and proceed with the recovery. So there you have it, a definitive guide to the most common faults with Android devices and what you can do to try a fix them. 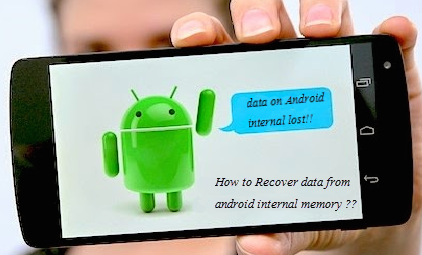 Remember, we can recover the data successfully from all Android devices. Please share this article widely !